Validation of 3D Printing Process for Medical purpose. The customer wanted to validate the 3D printing process for medical purpose. Representation of the process used to create Rapid Prototype tools to assist surgeon during Preoperative Planning and for Training purpose. INPUT – The Input of the process is the bone. TAC/CT scanning – the bone is scanned using Bio Imaging acquisition device like TAC or CT using the same procedure and operative step performed during ordinary clinical investigation. 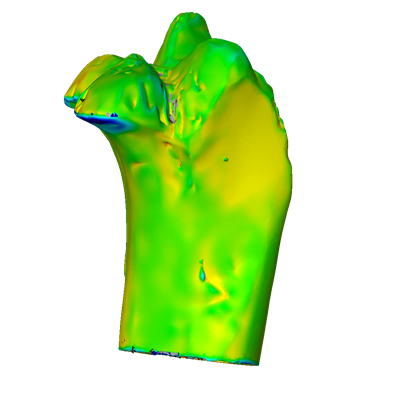 3D Reconstruction – the raw data obtained from TAC / CT will be processed in order to obtain a .stl model of the bone. 3D printing of the .stl bone will be performed. We support the customer in the design and development of a suitable approach for validation the process. We performed and compare laser scanning of patient bone (INPUT) and 3d printed bone (OUTPUT), to verify the precision of reconstruction process. We defined the specifics process parameter to monitor in order to control the process. 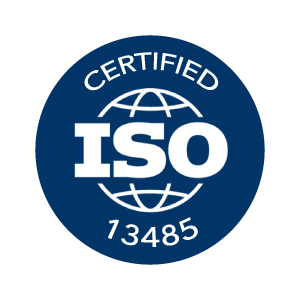 We performed IQ/OQ/PQ Validation of the 3D printing process. We selected and define the physical, chemical and mechanical test needed to control the quality of process and product.